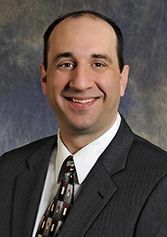 Kris’s major responsibilities include the purchase and installation of all computer hardware, software and networking at several locations in Omaha, Council Bluffs and surrounding areas. He also does some web development and regularly works with carriers such as Cox and CenturyLink. Kris and his team understand the importance of IT to the day-to-day workings of NP Dodge. The complexity of the process runs smoothly as a result of his efforts and expertise. When it breaks, IT fixes it and in many instances Kris makes it better than ever. His contribution to the entire process adds value to every division of NP Dodge Company. Starting with NP Dodge in 2000, Kris began to support the entire company with only one other staff member. Since then the IT Department has grown to eight and it is responsible for all the technical needs of over 1,000 employees and independent contractors. Kris graduated from Hastings College with a bachelor’s degree in Business Administration. He has achieved MCSE, CNA, CEH, A+ and N+ certifications and is a member of the Nebraska IT Leadership Forum.